John Duncan is a husband, father and minister. He is a native of Greenwood, South Carolina. He earned a Masters Degree in Counseling from Webster University and he has begun working on a Ph.D in General Psychology from Capella University. He was born again on August 3, 1980 and was ordained December 20, 1981 at Calvary Grove Baptist Church. 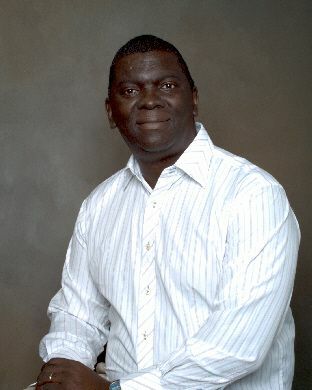 He served as an Assistant Pastor at Living Word Tabernacle of Faith under Bishop Bernard Newson in Greenwood, South Carolina for five years before relocating to Broken Arrow, Oklahoma in 1992 with his wife Betty Jo and their three children, Bethany, Joanna and Aaron to attend Rhema Bible Training Center. After graduating in 1994, at the Lord's direction they remained in Oklahoma for another year then relocated in 1995 to Greenville, South Carolina and on April 3, 1996 pioneered their first church, Rivers of Life Family Church International. In 2003, Pastors John and Betty Jo Duncan launched Firestarters Worldwide Outreach Ministries (FWOM) for the purpose of starting revival fires, stirring up and making demands on the gifts within the Body of Christ, and to preach the Gospel to every Creature. With the heart and passion of a teacher, God has used him to share the gospel in various churches, conferences, crusades, tent meetings and prison facilities. Called to be an end time voice crying out to the people of every nation, tongue, and kindred, Pastor John has a passion to see lives transformed, changed, charged, and challenged through the preaching, teaching, and demonstration of God's Word.